This bold black resin strap watch from the G-Classic collection is a fantastic showcase of the iconic G-Shock functionality. 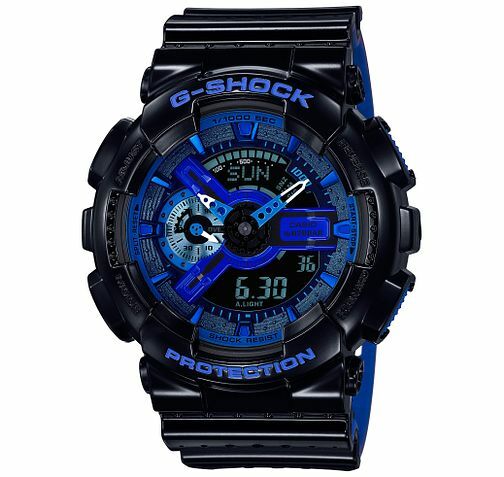 Solar powered with a shock resistant structure, features include; world time; stopwatch; timer; alarms; auto calendar; LED backlight; 12/24 hour time and 200m water resistance. A durable timepiece ideal for an active lifestyle.